How Does One Obtain Certification for an EBT for a Business? The Supplemental Nutrition Assistance Program, known as SNAP, provides food assistance to low income families in the United States. Approved SNAP recipients receive an electronic benefit transfer (EBT) card to purchase food in retail stores. To become an authorized SNAP retailer, you must meet the USDA requirements outlined in the application. To qualify as an authorized SNAP card retailer, your store must meet one of two requirements. You must sell at least three varieties of breads and cereal, dairy products, fruit and vegetables and meat, fish and poultry and your store must have more than 50 percent in gross sales that consist of the previous mentioned foods. Access the United States Department of Agriculture Food and Nutrition Service website (fns.usda.gov). Create a USDA account by clicking “Set Up An Account.” You can also request a paper application by contacting the number located on the account set up page. Set up your account. Be sure to provide a valid email address. Check your email for the hyperlink to activate your account. Fill in the online application. Once you begin, you have 30 days to complete and submit the application to the Food and Nutrition Service. Provide your name, address, social security number and estimated retail sales to complete your application. Send the required documentation to the Food and Nutrition Service in your area. The service provides your area office and required documentation once you complete your application. The paper application also displays the servicing office and required documentation. How Do I Start a Wic Business? Check the status of your application by returning to the Food and Nutrition Service site and click “Check the Status of Your Online Application.” Allow 45 days for processing. 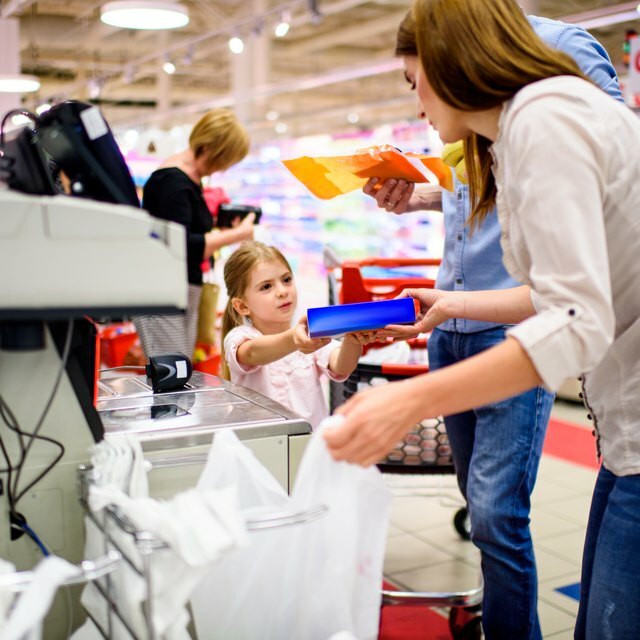 Review the USDA’s Food Stamp Program Training Guide for Retailers while you wait for a response. Become familiar with eligible food items, poster and decal display. The training guide provides specific information on the products your store must sell along with employee requirements. The USDA holds retailers responsible for employees' actions, which makes training essential to your success as a SNAP retailer. You can process food purchases using three methods. Check with an approved SNAP point of sale vendor to see if your existing equipment is compatible with the SNAP EBT card. If so, a contractor can program your existing equipment to accept an SNAP EBT card. You can request government issued equipment that only accepts SNAP cards. The government issues free equipment to vendors that average at least $100 in SNAP sales per month. You may also choose to complete all SNAP transactions manually using paper vouchers.